9ct yellow gold 3mm ball stud earrings. A Simple style great for everyday wear. 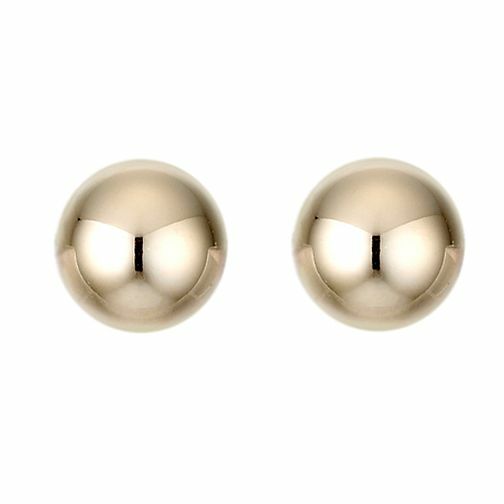 9ct Yellow Gold Ball Stud Earrings is rated 4.4 out of 5 by 16. Rated 5 out of 5 by Anonymous from Discreet quality. These little gold studs are perfect for me. Being small and unobtrusive, but timelessly stylish, they suit this older lady perfectly. Rated 5 out of 5 by Anonymous from A good buy Bought as replacement for my adult daughter. Very nice.